The 3 most important things necessary to win a Michigan driver’s license restoration (or clearance) case are, first, that you are honestly and truly sober; second, a good, thorough and favorable substance abuse evaluation, and third, relevant and helpful letters of support. The license restoration process is complicated, and I often describe it as being governed by “a million little rules,” but rather than get lost in endless details of varying importance, this article, longer by necessity, will focus on the 3 primary things you must have to stand any chance at winning your license back before the Michigan Secretary of State’s Driver Assessment and Appeal Division (DAAD). In life, just as with license reinstatement cases, the more experience you get, the more you realize that simpler is better. There are so many facets to a license appeal that even a lawyer with moderate experience handling these cases would freak out at all the thinks he or she doesn’t know. I don’t fly airplanes, but I think that it’s reasonably likely that 3 of the most important aspects of flying are a successful takeoff, keeping the plane in the air, and a successful landing. I’m sure there are a million things a pilot must do before he or she even starts the plane, but you have to begin somewhere. The flying analogy really holds up well, because if you’re not sober, you’re case won’t even get off the ground. If your substance abuse evaluation isn’t rock-solid, your appeal won’t stay in the air, and if your letters of support aren’t just right, the whole case will crash. To begin, being sober is a non-negotiable requirement to begin a license appeal. There are 2 key issues in a driver’s license restoration: First, you must prove that your alcohol problem is “under control,” and second, that it is “likely to remain under control.” The first issue requires proving your sobriety date. The primary evidence on this score comes from your letters of support; more on those later. The second issue, which really is the more important of the 2 and is the meat and potatoes of a license reinstatement or clearance appeal requires proving that you are likely to never drink again. The primary evidence submitted on this point is the substance abuse evaluation. A substance abuse counselor completes the substance abuse evaluation. Because he or she is doing an evaluation rather than counseling in this situation, we will refer to him or her as the “evaluator.” The job of the evaluator in completing the evaluation is to make the best possible clinical prediction of the likelihood that the person being evaluated will remain sober. In other words, the evaluator is looking to see if a person has the commitment and the tools necessary to remain alcohol-free. This presupposes that a person has really quit drinking. Sometimes, we can miss the big picture even though it’s right in front of us. A person will lose his or her license for 2 DUI’s within 7 years, or 3 DUI’s within 10 years because the Secretary of State concludes that he or she has a drinking problem, and should not be allowed to drive because it’s too risky. The DAAD Rules require that before a person can get his or her license back, he or she proves not only abstinence from alcohol, but that he or she is a safe bet to never drink again. Under no circumstances is the state ever going to take the risk or screw around with anyone who thinks he or she has figured out how to drink safely, or says something like he or she only drinks once and a while, at home, or would never drink and drive. From the state’s point of view, unless a person has made a completely clean and permanent break from alcohol, it’s just not worth the risk to put him or her back on the road. I have written loads of articles about the sobriety requirement, but the takeaway here is that making sure a person has adopted an alcohol-free lifestyle is really the whole point of the license restoration process. Since the main focus of the appeal is to determine if you’re sober, and likely to remain sober, then really being sober seems like a good start, doesn’t it? When I take a license case, I provide a guarantee that I will win it. In order to provide that level of assurance, however, I require that a person genuinely be sober before I will take his or her case. The tradeoff is the certainty that he or she will only pay me once to get back on the road. I absolutely do not and will not get involved with anyone who has any illusion that he or she can still drink. The substance abuse evaluation, which is a form published by the DAAD, profiles a person’s journey from drinker to non-drinker. By completing the form, the evaluator winds up providing a chronology of how a person went from developing a drinking problem to recognizing that problem, all the way to taking the appropriate and necessary steps to fix the problem. Of course, “appropriate” is different in each case: One person may love AA and be completely unable to understand how anyone can get or remain sober without it, while another person may dislike AA so much he or she can’t even begin to comprehend how it could possibly help anyone; yet a third person may have gone to AA for a while, taken what he or she needs, and moved on to a perfectly sober lifestyle without feeling any need to go back. Including this information in the DAAD’s form, and not overloading it with other irrelevant details is a tall order. To be perfectly honest, so few evaluations that I see are anywhere near good enough to submit that I use a very limited circle of highly qualified, experienced counselors to do evaluations in my cases. Control over this aspect of the case is part of what allows me to offer a guarantee. Indeed, before any client of mine ever even sees the evaluator, he or she will have a first appointment with me that is scheduled for 3 hours. The entire focus of that first meeting is to prepare the client to have his or her evaluation completed. In a very real way, the substance abuse evaluation is the foundation of a license appeal, because although its primary evidentiary value tilts toward proving that a person’s alcohol problem is “likely to remain under control,” it does also summarize a person’s drinking career. As a result, it needs to be darn near perfect. I certainly don’t spend 3 hours with a new client just to produce a mediocre result. The third primary requirement to file (and ultimately win) a Michigan license appeal is at least 3 letters of support. I generally will not file a case with less than 4 support letters. The letters are the primary evidence used to show that a person’s alcohol problem is “under control.” In the real world, over 90% of the letters I see need to be corrected or edited before they are good enough to be filed with the state. Completely describing what a letter should and should say is elusive, depends on the person and his or her recovery story, and is, to be honest, proprietary to my practice. This is, in part, what I get paid to do. I do it well enough that part of what I tell anyone is that if a problem with any of your letters played a part in a losing decision, the blame generally lies completely with your lawyer. If you tried handling your own license restoration case and lost, well, then you got what you paid for in terms of representation. There are a few things letters shouldn’t say, or at least shouldn’t dwell upon. The first, and perhaps most common error is what a colleague of mine calls “a good guy letter.” Despite my friend’s nickname, this applies equally to women, as well. In an attempt to be helpful, many letter writers “talk up” the person who they are writing about. It seems intuitive, of course, that a person’s good qualities matter. The cold reality, however, is that in a license appeal, the two main issues are alcohol problem under control, and likely to remain under control. There is no consideration for being good or kind or nice. You can be as angry, disrespectful and mean as possible, but if you’ve really quit drinking and have established a sober lifestyle, then you’ll win your driver’s license back. It has never been a requirement that a person be “good” to get his or her license in the first place, and therefore, being “good” plays absolutely zero role in getting it back, either. That is not say that in the larger picture, sketching out the better qualities of a person doesn’t matter at all; such descriptions can be helpful and useful, but only as the outlines of a much more focused description of a person’s sobriety. Another common mistake that pervades most letters of support is the writer’s assertion that the person “deserves” his or her license back. While it is understandable that these things are said in good faith, and only with the best of intentions, they are beyond useless in a letter of support. The best analogy I can make here is that this is about the same thing one will see before a big game of some kind, when a reporter sticks a microphone in front of some hometown fan and asks what his or her prediction is for the outcome. Without exception the person will say something like, “The Lions, of course, by 31 to 7.” Thanks, Bubba, for your opinion, but the rest of the world will hold off and see what actually happens in the game itself. It is the hearing officer’s job to determine in a person “deserves” his or her license back. Beyond the fact that the ultimate determination of who does and does not deserve a license rests within the fact-finding discretion of the hearing officer, almost every letter writer’s opinion on this point relates back to the person being a “good guy” (or gal) rather than any meticulous accounting for his or her abstinence. In other words, when letters venture into the “deserves his (or her) license back” realm, it not only encroaches on the hearing officer’s territory, but also tends to miss the target, or purpose it is supposed to serve by a pretty wide margin. A final mistake is for the writer to try and explain how much the person “needs” a license. As one hearing officer says, “everyone needs a license.” The state could not possibly care less how difficult it is to get around without a license, or how the lack of a license is holding you back, or what opportunities await should you get one. The state doesn’t care because there is no mechanism to “care.” Instead, the entire inquiry is whether or not you can prove, by clear and convincing evidence, that your alcohol problem is under control, and likely to remain under control. The letter editing process is labor intensive. As I noted before, less than 10% of the letters that I file with a license appeal don’t undergo some major renovation, and those are most often things like letters by fellow AA members that talk about the subject’s attendance at meetings and involvement with the program. Such letters have limited evidentiary value in the first place, and should almost never be used as any kind of primary letter in the first place. This attention to detail is what I provide in unsurpassed measure. I utterly cringe when a new client who comes to me after having lost a prior appeal hands me the order denying that case, and I see that the hearing officer raked the letters. This is always an avoidable error. Final responsibility for the letters rests upon my shoulders, and I like it that way because I know they’ll be done correctly. 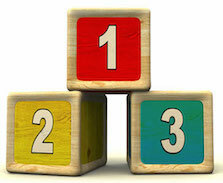 This article has covered the 3 major components of a successful license appeal. There is way more to it than this, but as a starting point, we’ve at least established that a person must be genuinely sober (the whole point of the license restoration process is for the hearing officer to feel confident enough to find that’s the case by “clear and convincing” evidence), must have a favorable and thorough evaluation, and submit detailed and helpful testimonial letters that confirm his or her abstinence. If any one of these 3 prerequisites is missing, the case is over before is has begun. If we have these 3 aspects covered, then I can make sure we don’t get snagged by any of the other million little rules. As long as we have real sobriety, a good evaluation, and properly edited and detailed letters of support, we have enough to put everything in place and win the case, and I guarantee that.